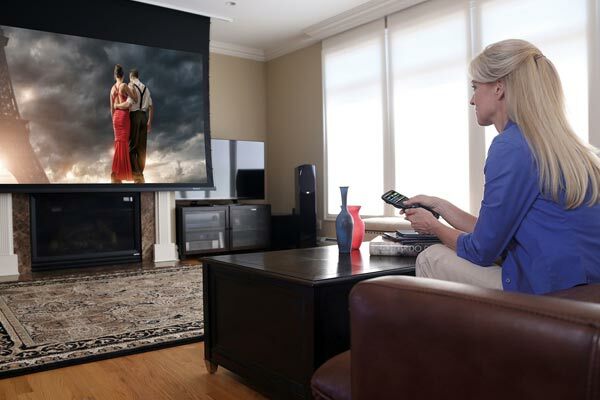 With a whole-house distributed video system, you can watch shows from your Blu-ray disc player, Cloud Service, cable box DVR, satellite dish, HDTV tuner, or surveillance cameras on any HDTV, simultaneously in every room of your home. Now’s there no need to purchase multiple Blu-ray disc players and other video equipment for every room because the system is centralized. The centralized components can either be hidden away in a closet or if you prefer, mounted in an impressive rack system in your media room. Easily control the entire system through handheld remotes, an iPhone or Android or wall mounted control panels. The only components needed in each viewing area are speakers and a TV screen. Whatever your needs, an ideal system can be custom designed specifically for your needs. Put a camera in your children’s rooms and you can watch your kids from any TV in the house, on your iPad and your smartphone from anywhere in the world. Put a camera on your front porch and see who is at the door without having to open your door. Press a button on your smartphone, remote control or tablet and unlock the door.